Those who know me well know that my favourite meal of the day is afternoon tea. Granted, I don’t take it every single day of the week – but I totally would if I could (and if I had a slightly better metabolism than I have right now). Afternoon tea was first introduced into British society during the 19th century, when the invention of gas lighting meant people were staying up later. During the afternoon they often got a bit peckish, which led to many tucking into cakes, biscuits and tea during to stave off hunger. Nowadays, afternoon tea is no longer exclusively British, but is enjoyed all over the world from South America to China. And, for my fellow cosy travellers who enjoy their tea and luxury while on holiday, it’s also something which can be worked into your travels! So, where are the best places in the world to head to for afternoon tea? Sorry to be a complete and utter cliché, but if you’re heading to the birthplace of tea, there’s really only one place you should go to. Served in the fancy surrounds of the Palm Court, the afternoon tea includes 16 loose leaf teas, finger sandwiches and scones. The whole experience is entirely theatrical, with a pianist in the background and ornate chandeliers hanging over the heads of guests. Stunning! As soon as I saw these treats (above) I just knew this had to be on the list. 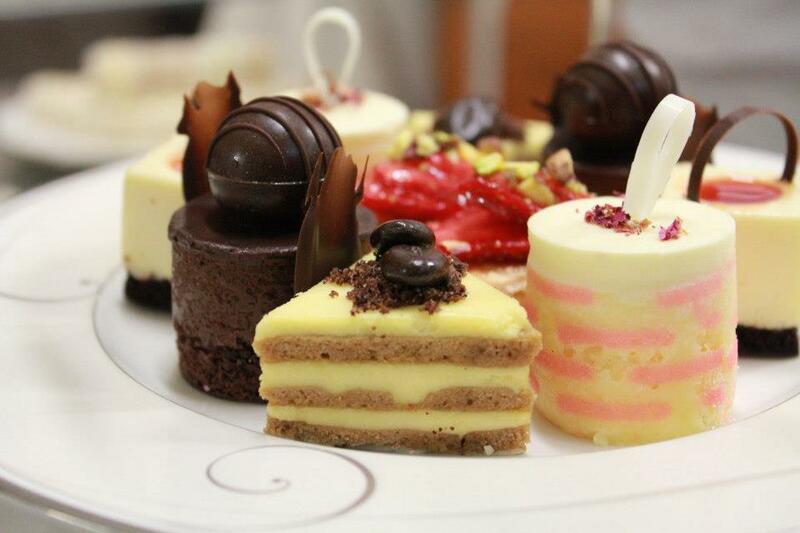 Afternoon tea has been served at this luxury Melbourne hotel since 1883, with vegetarian and gluten-free options available and extra sweets on the weekend. From $69 for an adult on weekdays; $89 on the weekends. Kid’s prices available. To be fair, they could serve me a cup of air and I’d still rave about it – because look at that gorgeous view! Perched at an altitude of 1,250 metres above Sri Lanka’s Ceylon tea region, the afternoon tea includes an exhaustive list of cakes and teas. Although afternoon tea is served here every day of the week, definitely aim for a Sunday spot, when food is accompanied by an orchestra! (Playing music…not to be eaten). South American flair is added to afternoon tea here, with all manners of delicacies adorning plates. The hotel even has its own tea: the Alvear Blend, ‘with the most noble of black tea leaves, almonds, and Mediterranean citrus and rose petals.’ Snazzy. 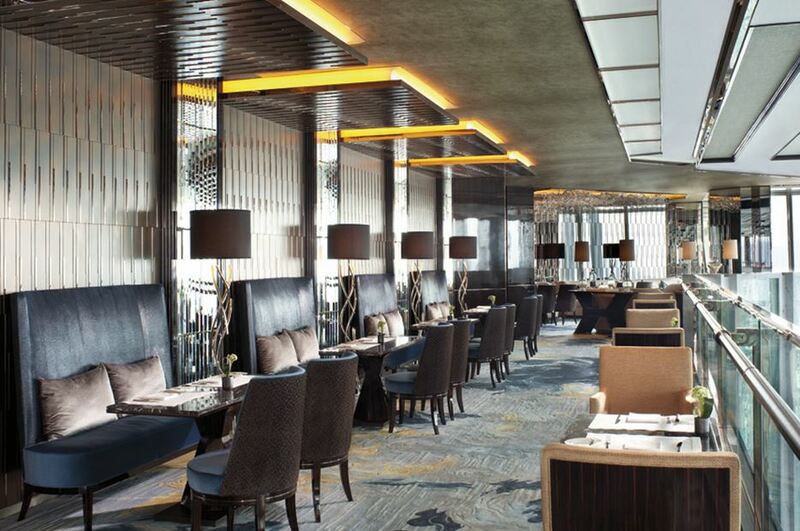 Contemporary, stylish and oh, so luxurious – what would you expect of afternoon tea in Hong Kong? Not content with the British tradition, the hotel offers a chocolate afternoon tea, with choco macaroons, chocolate desserts and, uh, even hot chocolate. Definitely one for those with a sweet tooth. HK$308 for one (around £23) and HK$528 (£40) for two. 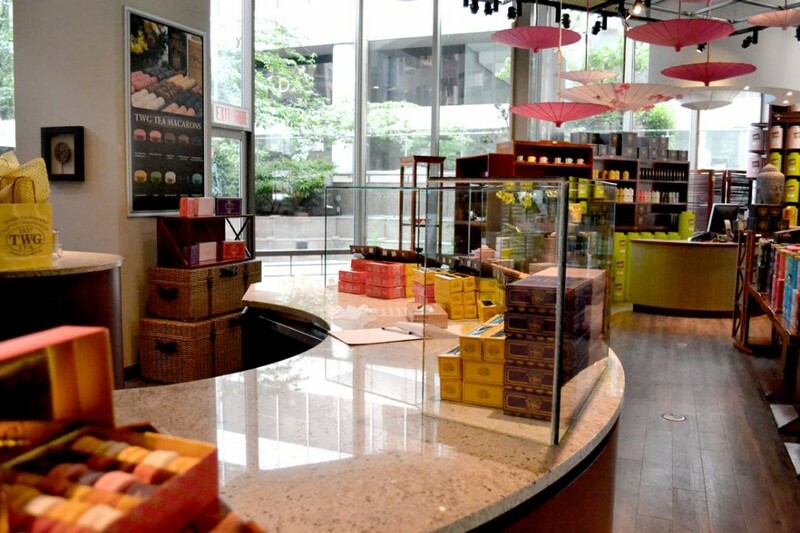 On weekends and public holidays, the tea costs HK$328 for one (£25) and HK$548 for two (£41). If I could just be here right now, that would be great, thanks. The quintessentially English meal is accompanied by South African milk tart (‘melktert’) and signature Mount Nelson Tea. 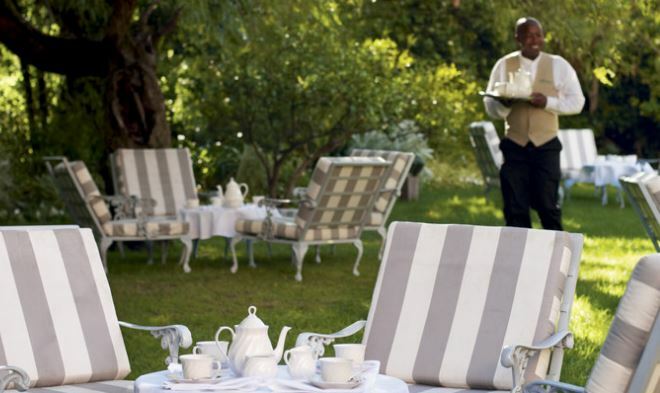 Afternoon tea can be enjoyed outside on the terrace, around the garden fountain, or indoors in the lounge. Every year, the Grand Hotel hosts a Nobel Peace Prize banquet, with prize winners staying in the luxury Nobel suite. 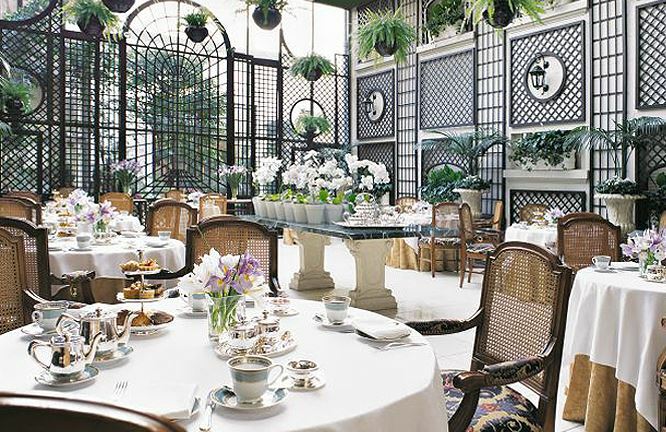 Luckily for us, the hotel also offers afternoon tea under the beautifully classic glass dome in The Palm Court. As well as all the essentials, guests are also treated to bubbles in the form of Ruinart champagne. I LOVE the look of this store, selling an eclectic mix of teas and accessories. 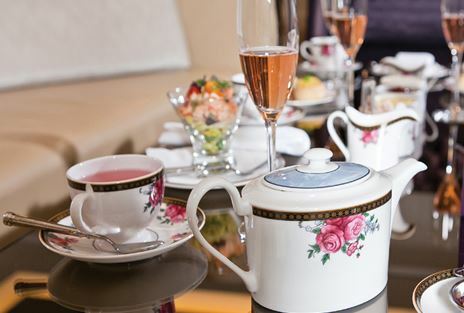 Their afternoon tea includes three tiers of savouries, including ‘1837 Black Tea’ torchon de foie gras with rhubarb compote and ‘Silk Water Tea’ scallop with fennel, orzo and grapefruit’ – which all sounds incredibly grand. How cute is this colourful china?! Afternoon delights are served twice a day at this hotel – which also has its own expert tea sommelier to help you choose your perfect cuppa. And there’s so much choice, they even have their own PDF of teas! Afternoon tea $49 (around £25) on a weekday, and $54 (£28) on the weekends. Concessionary prices available for kids. Where’s the best place you’ve ever had afternoon tea? What an excellent idea for a blog post! I now want to go to all of these places. I’ve always said that I’m going to have Afternoon tea at The Ritz someday. Unfortunately that day still hasn’t come even though I’ve been in London plenty of times. Kind of embarrassing, but I just had my proper Afternoon Tea this year, which was great! Can’t wait ´til the next time.. Maybe I’ll end up at The Ritz! 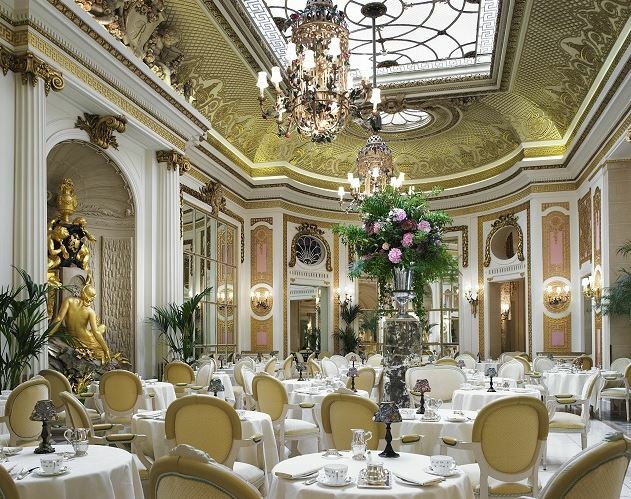 The Ritz is one of my goals in London for 2015 – looks amazing ! The Mandarin Oriental Bangkok. The best afternoon tea in the historic Writers Lounge. Beautiful comfortable colonial surroundings, service and food just perfect.